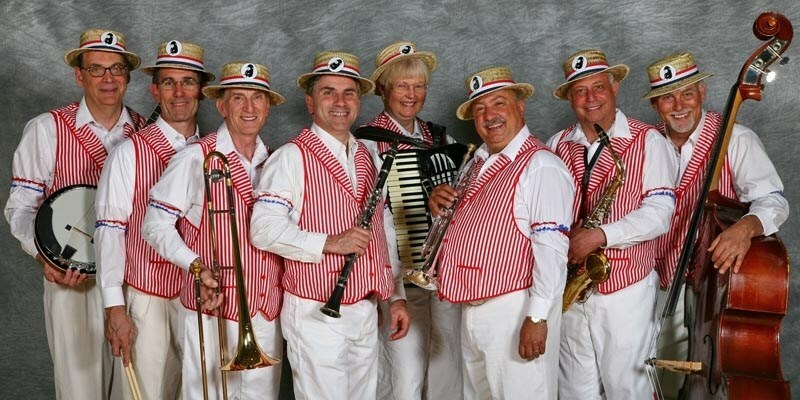 Black Sheep Dixieland Band is a family oriented Dixieland Band, perfect for a party at your house, a Mardi Gras Festival, wedding, corporate event, political rally, Dixieland funeral, clam bake, patriotic parade, children's party or jazz concert. 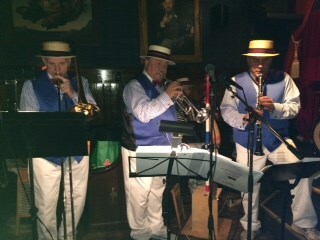 We play mostly Dixieland and Traditional Jazz reminiscent of New Orleans. After Hurricane Katrina, the wonderful jazz of New Orleans had a terrible setback, but that made us all the more determined to preserve this music and get it out in the public for all generations to hear. This early jazz is part of our American history and must not be lost or forgotten. All ages swing, sing and dance to the beat of this lively band. We are often asked "Where did you get the name for the band?" Pappy Boyington, World War II veteran, has always been one of Lou Borelli's favorite heroes. Pappy flew with an American volunteer group "The Flying Tigers" and he later commanded the famous U.S. Marine Corps squadron, VMF-214 (The Black Sheep Squadron). Boyington was awarded the Navy Cross and the Medal of Honor by the United States Marine Corps. He led rather an unconventional life and Lou was always fascinated by this incredible man. He always wanted to have a band named in Pappy's honor, so when he started a Dixieland Band, "Black Sheep" became its name. Grant Dixieland music. I had no special requests so I have no comment on that but these furs were exactly as billed. Talented, professional and great experience. Don’t hesitate to book them if you’re looking for Dixie. Thanks Jan and Lou and the boys! 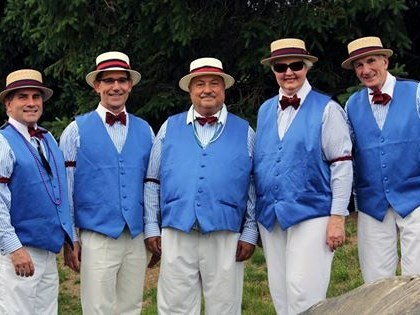 Please note Black Sheep Dixieland Band will also travel to Holden, Leicester, Cherry Valley, Rutland, Spencer, Jefferson, Worcester, West Boylston, Rochdale, Auburn, Oakham, North Brookfield, Boylston, Shrewsbury, East Brookfield, North Oxford, Charlton Depot, Princeton, Charlton, North Grafton, New Braintree, Charlton City, Brookfield, South Barre, Sterling, Wheelwright, West Brookfield, East Princeton, Hubbardston, Barre.